Liverpool closed the gap on leaders Chelsea to six points after coming from behind to beat Stoke City 4-1 at Anfield on Tuesday. Christmas may be over but Stoke dished out the gifts in a performance littered with defensive errors and Liverpool took full advantage to move back above Manchester City into second. 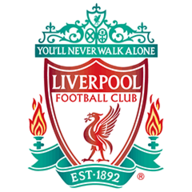 Jonathan Walters punished some questionable goalkeeping by Simon Mignolet on 12 minutes but a Glenn Johnson mistake let in Adam Lallana for the equaliser. Roberto Firmino, who started despite being charged with drink-driving on Christmas Eve, made it 2-1 just before the break before a Giannelli Imbula own goal and Daniel Sturridge's first Premier League goal of the season - courtesy of a shocking back-pass from Ryan Shawcross - wrapped up the points for Jurgen Klopp's men. Sturridge had to make do with a place on the bench as Klopp named an unchanged side from their 1-0 victory over Everton at Goodison Park. However, it was Mark Hughes' men that looked the sharper in the early stages and they were ahead with just 12 minutes on the clock. There has been much debate about who should be Liverpool's first-choice goalkeeper and questions will be asked again after Mignolet was beaten too easily at his near post by Walters, who met a near-post cross by Eric Pieters. Liverpool looked rattled and Stoke continued to press. Joe Allen forced Mignolet into a low save six minutes later and Liverpool were lucky that rebound didn't fall to Peter Crouch, who would have had a tap-in. The hosts needed inspiration and their go-to guy Lallana stepped up, scoring his fourth goal in his last four games when Sadio Mane crossed from the right flank and Johnson inexplicably decided to control the ball rather than clear his lines. The ball broke kindly to Lallana and from a tight angle he fired home past Lee Grant at his near post (34). The goal lifted the atmosphere in the home ends at Anfield and their team soon took the lead. Firmino was available for selection despite his off-field misdemeanour and he repaid the faith showed in him from the club with a fine low finish from 15 yards that hit both posts on its way into the net (44). 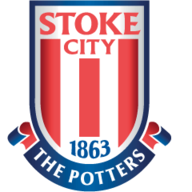 Stoke came out for the second half still very much in the game but shot themselves in the foot with two defensive mistakes that gifted Liverpool the points. Imbula's misplaced header on 59 minutes sparked a Liverpool counter attack, where Jordan Henderson found Divock Origi, who rolled the ball across goal only for Imbula to turn home under pressure from Mane. It went from bad to worse for Stoke 11 minutes later as Shawcross' back-pass was seized upon by Sturridge, who had only been on the pitch for 90 seconds. The England striker stayed calm and dribbled past Grant before sliding home into the empty net, his first top-flight goal since April a milestone one; Liverpool have now scored 100 league goals during Jurgen Klopp's 48 matches.